The Blessings of the Most High God be with you! I understand well your concerns – as well as the world’s – about the threat portrayed by the Sovereignty of North Korea. As I reiterated in previous correspondence, neither the U.S.A. nor other Nations, should dictate to other Nations what they must do in ruling their own Nations. By the U.S.A. placing pressure upon a Nation to comply re: directions imposed by U.S.A. or U.N.’s economic sanctions, only creates a possible War. All sanctions should be removed, so that, that Nation can survive, even if these Nations are building up Nuclear Weapons. Every Nation is a Sovereign State. There are 9 countries who have Nuclear Weapons – U.S.A., Russia, U.K., France, China, India, Pakistan, Israel and North Korea. 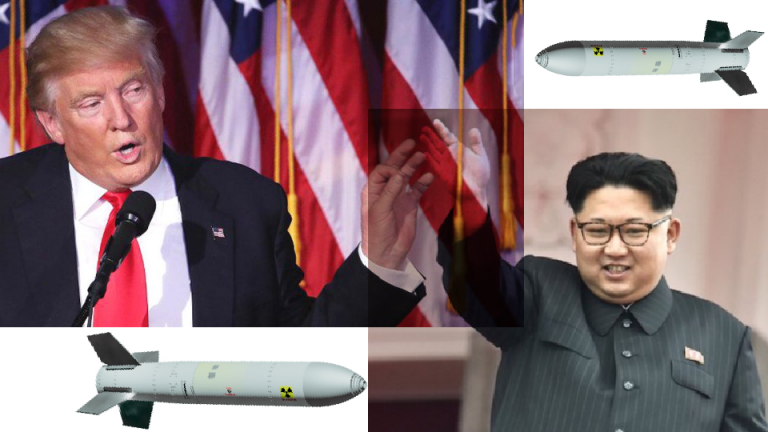 15,000 Nuclear Warheads! What right has any Nation to place a sanction upon any Nation, if they wish to build such securities? Take away the sanctions from North Korea, Iran and Russia, because this will only antagonise a huge threat of World War III. If you believe a Nation, like North Korea, is a threat to world peace, then the countries of the world should have a private meeting and draw up a plan to take out the bases of Nuclear Installation. However, by removing the sanctions, there is more chance of diplomacy – as goodwill can prevail. Mr. President, do not believe the unanimous vote from the U.N. to place more sanctions upon North Korea, is a victory for you. Do you truly believe Russia and China will come to the aid of the U.S.A., should a War break out in North Korea? By the vote of the U.N. Security Council, it basically forces North Korea into a corner and placing South Korea, Japan and the U.S.A. in danger. It is not the role of the U.S.A. to be the world Police. Russia and China will not help the U.S.A., in this conflict. Should this conflict start in the coming months, you can be sure Israel and Iran will begin to have conflict – also other Nations in the Middle East. Then the U.S.A. will be confronted with its military spread out too thin and the U.S.A. will be vulnerable on your own soil. Will the U.S.A. be able to defend Israel or Japan, or even Australia or South Korea, should a war break out in Korea? Remove the U.S.A. troops from Afghanistan – let the people of the Middle East deal with their own problems. We will continue to pray for you and the people of the U.S.A.